The treatment of the Australian games industry throughout 2016 by the government is the great unspoken proof of how weak, false, and ineffective the leadership of Prime Minister Malcolm Turnbull has been. In lacking the insight to realise just how valuable this industry could be to Australia, and how in-line it would be with Turnbull’s stated mission to encourage innovation in the Australian economy, Turnbull and his party demonstrate a lack of sincerity about policies so extreme that would be amusing, if it wasn’t representative of an incompetence that will be devastating to Australia’s future. At this point last year, Turnbull was talking up a massive focus that his government would have on supporting innovation in the Australian economy. With the resources boom waning to the point where Australia needed to diversify its economy away from digging stuff out of the dirt, innovation was meant to be the solution. Creating IP and fostering a robust startup ecosystem that could compete across the globe was to be a key legacy of Turnbull’s leadership. "What is going to drive Australian prosperity in the years ahead? How does our economy transition?" Turnbull said at the time, as reported by the ABC. Fast forward a year and an election, and a fair chunk of that enthusiasm for innovation seems to have faded. The reason is simple: through that election the Liberal National Party discovered that innovation was a tough sell to the Australian people. The billions in investment promised to bring Australia’s economy into some semblance of modernity wasn’t anywhere near the vote winner that Turnbull needed it to be. To the average voter, the bigoted promises that the fascist One Nation party was making to keep brown people out of the country was a much more reliable vote winner, and so people were more interested in hearing how Peter Dutton, the Minister for Immigration and 'Border Protection,' would compete to out-bigot the bigot party. Innovation was ignored as a topic through much of the election race. Meanwhile, the Assistant Minister for Innovation, Wyatt Roy, despite being as competent as LNP ministers come, lost his seat and was bundled out of politics, creating an immediate vacuum of support for innovation within the party that Turnbull could rely on. Following the election Turnbull was left with a razor-thin victory margin that gave all the power in his government to dullards like Cory Bernandi and George Christensen, whose idea of “innovation” doesn’t extend too far past finding ever more disturbing ways to recruit more nationalist followers on Twitter. 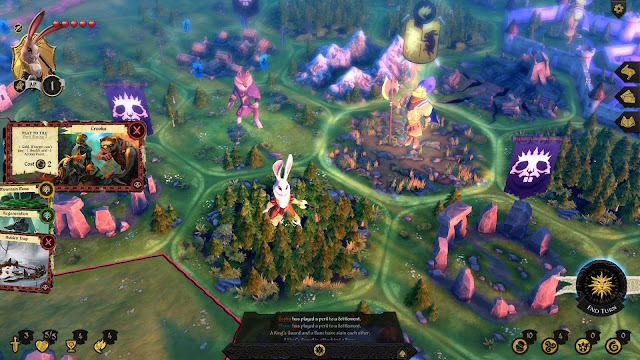 Armello, one of the most popular Australian games ever created, was able to secure government support. As a consequence, the debate about just how Australia’s economy is actually going to survive when all of our regional rivals are indeed investing in modernising their own economies has all-but disappeared from the public conversation. That being said, despite innovation being dropped from the list of priorities there’s still the odd moment when the innovation policy shines through, and the government gets some of its most positive news stories, for actually investing in the future of the country. Take, for example, the recent news that as a result of the innovation and science agenda there are now significant tax breaks for investors in early stage venture capital limited partnerships (ESVCLPs), and the advent of those tax breaks has led to an increase in ESVCLPs. This should be good news for the games industry in Australia. Games are a significant source of IP development, and they require the kind of technical skills that Australia needs to develop to support an innovation-heavy economy. Despite this reality, the government, through Arts Minister, Mitch Fifield, has almost completely ignored the industry. He must be glad the focus is off the whole innovation story, because he's getting away with it unchallenged now. Worse, Fifeld's aloof attitude towards games comes despite a Senate inquiry into the Australian videogame industry finding that, overwhelmingly, the government should be doing a whole lot more to support the industry. “We haven’t had much more luck with Minister Fifield than we have had with LNP ministers in the past,” CEO of the Interactive Games & Entertainment Association (IGEA), Ron Curry, said. “We’ve been assured that there will be an 'all of government' response to the Senate inquiry, but there’s been no indication of when that response might be, which is quite frustrating. This infographic outlines all the data that the government should need in order to realise it should invest heavily in game development. Consider this: The Australian games industry is currently quite small (having never been given the opportunity to properly grow), but in a survey of the 63 largest ASIC-registered game development companies, there was $114.9 million in revenue generated through the 2015-2016 financial year, and of that, a full 81 per cent of revenue was derived from overseas markets. On percentage this makes game development one of the most effective industries in the country for bringing new money into the market - something an innovative nation requires for economic health. Additionally, 50 per cent of game developers exclusively create new IP, and a further 42 per cent of game developers build new IP as a component of their business. Again by percentage, this makes the games industry one of the most effective in the country for generating new ideas. And, while entertainment and art are two of the primary drivers behind game development, knowledge developed through games has much further reaching impacts than that. 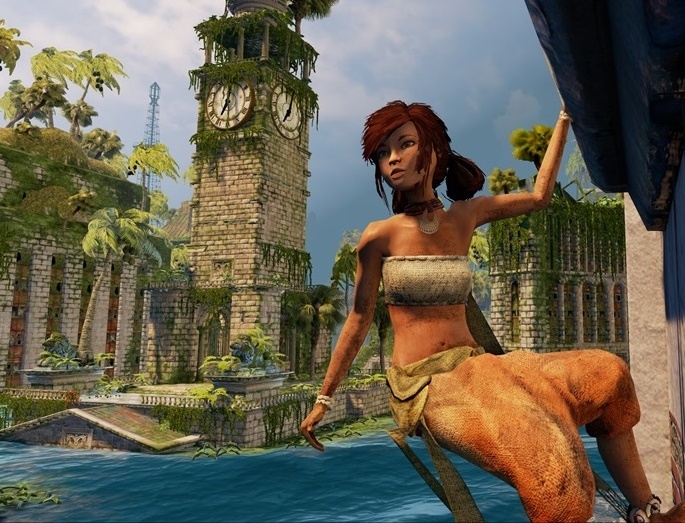 “The discipline of making games can be applied to business, health and education,” Curry said. “Indeed, because there are more graduates from game development courses than jobs available, we’re finding a lot of skills are being taken by creative agencies, banks, consultancies like PWC and Deloitte, and recruitment agencies. Meanwhile, Poland’s government is so proud of its premier game developer, CD Projekt Red (and the money that it brings into the Polish economy) that it provided US President, Barack Obama, with a copy of The Witcher as a gift when he visited the country. Emerging economies are also interested in game development. The governments of nations such as Costa Rica, Brazil, and, in the Middle East, the United Arab Emirates, have all identified the substantial economic returns in investing in game development. 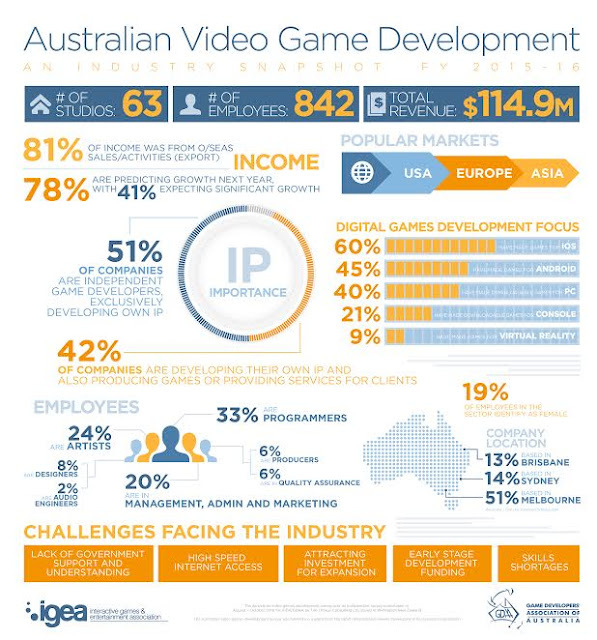 Australia previously had a Game Development Fund, which was remarkably successful in giving game developers opportunities to push significant new IP into the market. Games as varied as Armello and Submerged through to The Warlock of Firetop Mountain all came as a direct result of that money. Indeed the fund created one of the most significant purple patches of game development the country has ever seen, and delivered us a number of game developers that now have IP and are in a financially healthy position. The LNP government, under its previous leader, Tony Abbott, scrapped that fund completely. The current Turnbull government has shown no inclination to restore it (despite the Senate inquiry recommending that it should be restored). Hand of Fate 2 is the sequel to the critical and commercial success, which was funded in part through the Interactive Games Fund. 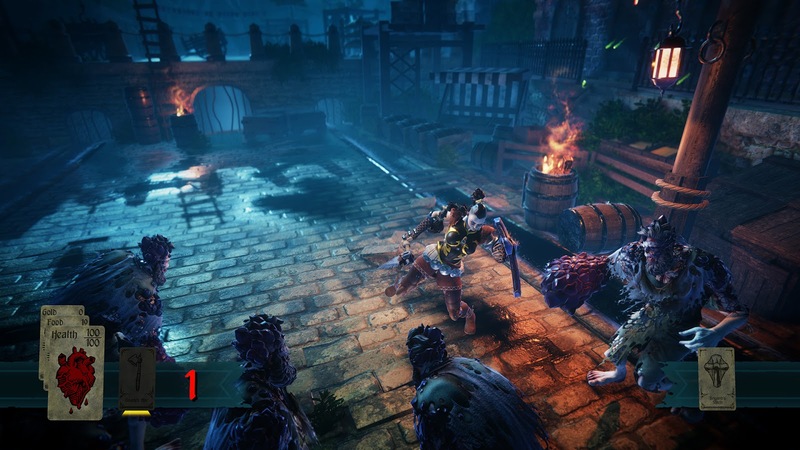 Defiant Development is one of the largest studios in the country now thanks to that game's success. “It’s just incredible that outside of the state of Victoria there’s such a silence for the industry,” Curry said. The state’s Victorian government does support its local industry with its more modest means, so it’s not surprising that 51 per cent of the Australian games industry is centered in Melbourne. If Malcolm Turnbull and his government were sincere about innovation, or indeed improving the Australian economy, then it would realise that game development is a major opportunity. Beyond the basic economic benefits of an industry that actively produces IP and brings new money into the country, game development also produces highly skilled technical and creative professionals, which are the critical resource for any innovation-based economy. The potential is there for Australia’s games industry to boom, and for the entire innovation and entrepreneurial space to gain a significant uplift on the back of that. Even with complete radio silence from government, 78 per cent of game developers expect to report growth next year, and two thirds are planning to hire. Those numbers would explode with effective government policy, and no government should be ignoring a global industry that will reach $US98 billion over the next couple of years. It’s difficult to imagine a more perfect case study to prove this government’s incompetence than to watch it argue on the one hand that it wants to support innovation and IP generation, and then completely ignore game development on the other.